Kiehl’s is proud of a long tradition of service to our customers, our neighborhoods, and our communities. Discover some of the unique services we offer both online and in-store so that we may offer optimal assistance. 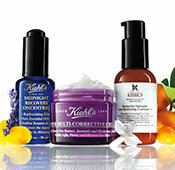 We invite you to join Kiehl's Customer Registry so that we may be of optimal service to you. Registrants are apprised each month of Kiehl's activities, new product introductions, timely promotions, and other special announcements. 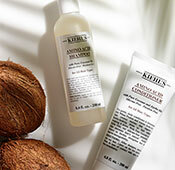 Respect for our customers is one of the core tenants of the Kiehl's philosophy. We consider the privacy of our customers with the highest regard and offer our commitment to protect your personal information. 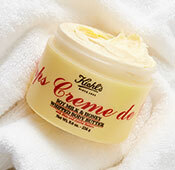 Kiehl's does not sell, rent, or share this information with third parties. 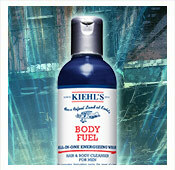 We invite you to join Kiehl's Customer Registry so that we may be of optimal service to you. Registrants are apprised each month of Kiehl's activities, new product introductions, timely promotions, and other special announcements. Kiehl's does not sell, rent, or share your information with third parties. Choose the products and samples you wish to include, and we’ll assemble them all. 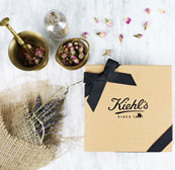 Please visit or call one of our Kiehl's free-standing stores to purchase a gift card that is redeemable at all Kiehl's stores. We understand that no two skin or hair types are exactly alike and that products work differently for each person. 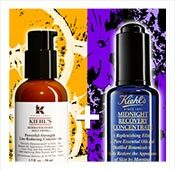 To ensure you find the precise products that meet your needs, Kiehl's pioneered an extensive Sampling Program many years ago. 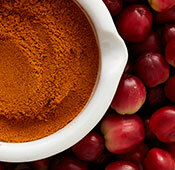 We're confident that when you try our products, you will recognize the high quality and efficacy of the preparation. We invite you to try three Kiehl's samples with your first order of the day to discover other Kiehl's formulations from our extensive line of skin, hair and body care.